Our logistics base for 4 Sikh in Poonch was near the old palace of its former King that was designed like a European castle. Our Officers’ Mess was called Joginder Mahal and was located in the house of a formerjagirdar. Outside Joginder Mahal, under a Chinar tree, were the quarters of Havaldar Raja Singh, the unit mascot of 4 Sikh – a six-foot tall (when standing), 250 kg Himalayan black bear! Today, the dominant reaction seems to be impatience with reforms not moving ahead quickly enough. That is a substantial positive legacy from the past 25 years. Neither party identity nor coalition complexity appears to have caused significant deviations from the broad reforms roadmap. By 2002, serious questions were being raised about the merits of liberalisation. But the performance of the economy during the 2003-08 period quelled these concerns and the recent deceleration of growth has not revived them. For the reform dividend to be realised, the spread and coverage of reform measures matters. It is naïve to expect actions taken in individual domains to have much of a macroeconomic impact. The three stumbling blocks the economy faces now are food prices, infrastructure and employment generation. As we head towards the 25th anniversary of the economic liberalisation of 1991, we can, of course, expect quibbles about whether the process had actually started earlier during the 1980s. However, in terms of scale, scope and, most importantly, aspiration, there is no doubt in my mind that the process that began with the new government presenting its first Budget in July was a game changer. It decisively put the economy on a new and, I believe, potentially better trajectory. Whether this potential was realised or not will surely be the subject of much of the commentary on the occasion. A fair judgement would be that there have been significant achievements, but the reform process remains a work in progress. Satisfaction must be tempered with impatience with the fact that the benefits of reform are unevenly distributed. The celebration is warranted, of course, but so also is a reflection. What worked, what didn’t and what next? In that spirit, here are a few thoughts. Air Force Vice Chief BS ‘Tony’ Dhanoa’s assertion the other day on India’s combat air power in operational capability (numbers and quality) not being “adequate to fully execute an air campaign in a two-front scenario” should cause no surprise. 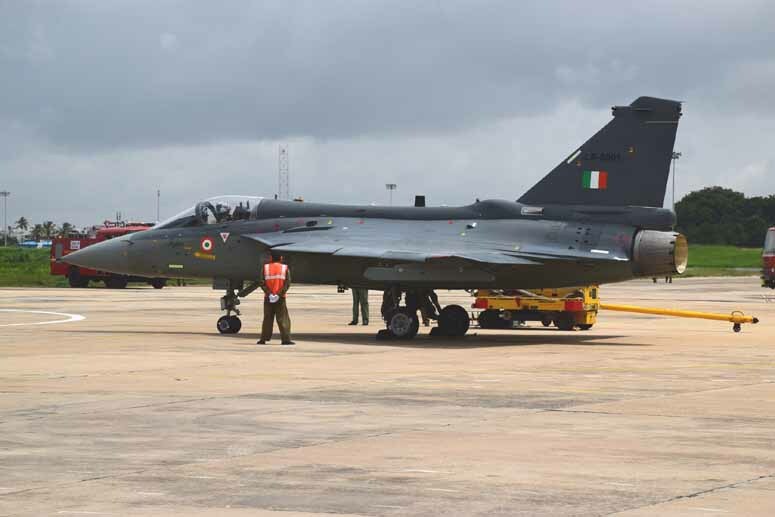 Air Chief Arup Raha too has been repeatedly expressing his “anguish at depleting combat aircraft numbers and the inordinate delays in new inductions”. These high-level assertions run in the face of the government’s politico-strategic directive to the armed forces in 2009 to be operationally prepared for a collusive China-Pakistan military threat. Progressive phase out of IAF’s workhorse, the Mig 21 fleet, has resulted in the draw-down of its combat strength from 40 squadrons to 33 today. The number would reduce to 22 in a decade. The sanctioned strength for a two-front scenario is 42 squadrons. Over the years, successive Air Force Chiefs have been drawing attention to this looming crisis of numbers. Dwindling capability of IAF, the country’s sword arm of conventional deterrence, has led to the widening of its combat air power gap with China’s Peoples’ Liberation Army Air Force (PLAAF) and a substantial reduction in IAF’s decades-long deterrent value. Against every benchmark PLAAF is far ahead: combat numbers, throw-weight, and operational infrastructure in Lanzhou (facing Ladakh) and Chengdu (facing the North East). This not only jeopardises IAF’s ability to achieve a modicum of air dominance in critical areas during a conflict, so vital for its air campaign, but makes for severe constraints on the operations of the ground and naval forces. Determined pursuit by Pakistan Air Force (PAF) of what has been termed its two-front – China-US assisted –modernisation, as evidenced by the recent US decision to supply PAF advanced air-to-air missile equipped F16s, with more on the anvil, has exacerbated the situation. Moreover, it should be remembered that Pakistan’s military and Saudi Arabia have very deep and institutionalized links: thousands of Pakistani retired and serving army officers work on deputations in the Gulf states; furthermore, during the ‘80s Saudi Arabia lacked an efficient intelligence set-up, and Pakistan’s ISI virtually played the role of Saudi Arabia’s foreign intelligence service. Additionally, in the recent years Pakistan’s defense production industry, with Chinese assistance, has emerged as one of the most sophisticated military-industrial complex in the region. Not only does it provides state-of-the-art conventional weapons to the oil-rich Gulf States, but according to a May 2014 AFP report , Pakistan-made weapons were also used in large quantities in the Sri Lankan Northern Offensive of 2008-09 against the Tamil Tigers. Notwithstanding, from the massacres in Bangladesh in 1971 to the training and arming of jihadists during the Soviet-Afghan war throughout the ‘80s and ‘90s, and then launching ill-conceived military operations in Pakistan’s tribal areas under American pressure, which led to the displacement of millions of Pashtun tribesmen, the single biggest issue in Pakistan has been the interference of army in politics. Unless we are able to establish civilian supremacy in Pakistan, it would become a rogue state which will pose a threat to the regional peace and its own citizenry. (FPRI) — The Islamic State has taken the final week of Ramadan to make a big statement: “We will not go quietly.” In the last seven days the terror group has shown that a “wounded Islamic State is a dangerous Islamic State” lashing out in an unprecedented wave of suicide bombings and other attacks around the Middle East, South and Southeast Asia. The Islamic State’s gradual decline in Syria and Iraq hasfinally brought a long expected shift in the group’s tactics from conventional military operations back towards insurgencies paired with regional and international terror attacks. The Islamic State overtook al Qaeda by declaring a caliphate and has since surpassed their forefathers as a terror group by executing a daily string of directed and networked attacks in six countries while narrowly missing in a seventh. Success breeds success for the Islamic State and their directed suicide assaults seek to amplify their image, rally their base during a down time, and inspire their supporters to undertake further violence in their name. Here’s what the Islamic State has perpetrated in short order. In his book Afghanistan-Pakistan-India: A Paradigm Shift, released recently at Observer Research Foundation, New Delhi, Afghan Ambassador to India, Shaida Abdali writes: “The logic of Pakistan’s survival in its present form makes it necessary for Pakistan’s policymakers to continue creating problems for its neighbours — Afghanistan and India. This requirement paradoxically, will hamper efforts of Pakistan in becoming a truly democratic and open society, if it chooses to do so.” For now, Pakistan’s leaders prefer to keep their country in permanent hostility with India and Afghanistan despite the growing global distaste for these policies. There is hope in the book that there will be a paradigm shift in the attitude of the one country that has been the spoiler throughout and its intransigence has prevented a solution. It is this attitude that meant countless Afghans have lived and died without knowing what a post-conflict situation, let alone peace and tranquillity, could mean to them and for their families. A note of realism is, however, necessary when we speak of a paradigm shift. This is unlikely to happen in Pakistan. For far too long, both in its relations with Afghanistan and India, Pakistan assumed that its presumed entitlements permit it to indulge in cross-border terrorism. Exhausted it might be with the blowback of its policies, having boxed above its weight for so many years, yet hubris doesn’t allow it to change its policies. It would prefer to remain a regional black hole and miss out on the opportunities of the 21st century. This change won’t happen unless those who control Pakistan’s destiny are made to pay the price and their successors are able to dream the big picture. Violence in Afghanistan and the still-uneven skills of Afghan National Security Forces make conditions too “precarious” to withdraw U.S. troops as rapidly as originally envisioned, President Obama conceded Wednesday. The president’s announcement to slow the withdrawal to 8,400 troops for the remainder of his term was a compromise from the current level of 9,800, but higher than the 5,500 U.S. troop level once imagined by the end of this year. His advisers recommended the 8,400 number and Obama accepted the proposal, a senior administration official said. For a president who campaigned in 2008 to end wars while arguing the Bush administration “took its eye off” Afghanistan as the central battlefield against al-Qaeda, a sustained U.S. military presence there into 2017 represents a personal disappointment. Obama and senior administration officials spoke Wednesday of lessons learned. It does not mean that a conflict is imminent, but in case China has ‘to face India’, Beijing wants to be ready. Interestingly the Lhasa Gongkar Airport in Tibet was one of two first pilot airports to implement the ‘integration’. Watching President Xi Jinping consolidate power since he became president in 2012 has pushed many China watchers toward extreme views of Chinese politics and policymaking. On the one side, some analysts argue Xi adopted Maoist tactics to build a cult of personality and return to one-man rule. On the other side, some analysts argue Xi the man is largely irrelevant apart from his mandate to fulfill the ambitions of the Chinese Communist Party (CCP). Neither of these perspectives really illuminates what is actually happening in Beijing. A better perspective requires accepting that politics remains politics: a story of flawed tragic or heroic personalities interacting constantly with the institutions and rules around them. This will be the first of a three-part series on Chinese politics. To kick off the series, I explain what is wrong with the assumptions underpinning much of today’s analysis of China’s political system. The second article will examine Xi Jinping the politician. The third and final article will highlight some of the key factors and issues that underpin how to understand Chinese elite politics. Chinese policy cannot be fully understood without reference to the people and process through which it was created. If Washington intends to shape China’s rise, then U.S. policymakers need to know how that system functions. Those who point to Xi’s cult of personality and a return to one-man rule are offering something approaching a caricature of Chinese politics because of its patent absurdity. President Xi may appear in a military parade, but that is a far cry from standing on Tiananmen speaking before a rally of tens of thousands. Silly paintings may have appeared glorifying Xi’s life, but they are not a little red book carried by millions. Xi did attempt to relaunch Mao’s “mass line” politicking to create positive feedback in support of his policies, but trying to put pressure on the CCP bureaucracy to achieve stated party objectives is not Maoist. One of the challenges of analyzing Chinese defense and foreign policy for Western strategists is that China often behaves quite differently than conventional paradigms for strategy development would otherwise predict. For example, Beijing’s focus on sea power development has been parsed in rather excruciating detail for well over a decade, but Beijing still wields just one (almost) operational, conventional aircraft carrier and a single overseas “support point” in Djibouti. That location, adjacent to the bases of several Western powers including the United States, hardly suggests aggressive intentions. But nowhere is China’s unique approach to military strategy as evident as in the nuclear strategy realm. It is true that Beijing’s initial restraint in creating its “minimal deterrent” during the 1960s and 1970s no doubt reflected severe resource constraints. However, there can be little doubt that if China sought a massive nuclear arsenal (on par with the United States and Russia), it could have it by now. Instead, as I have noted in this column previously, it has wisely invested in domestic transport infrastructure, such as its colossal high-speed rail network. Still, it is true that the PLA Second Artillery is now bringing online a series of new systems that will reinforce “assured destruction.” Of particular interest, is the continued development of the submarine-leg of the Chinese nuclear triad. This edition of Dragon Eye will discuss a rather detailed analysis of China’s evolving sea-based nuclear weapons written by the reasonably well-known Chinese nuclear strategist, Professor Wu Riqiang (吴日强) of Renmin University, in the naval magazine Modern Ships (现代舰船) published by the shipbuilding conglomerate CSIC in early 2016 (issue 01B). Taiwan is laying the groundwork for a major charm offensive towards Southeast Asian nations and India in an effort to gain a strong foothold in these fast-growing economies and to diversify its economic relations away from China. China and Hong Kong together absorb nearly 40 percent of Taiwan’s exports, with exports accounting for 70 percent of the island’s GDP. The Tsai Ing-wen administration’s New Southbound Policy seeks to promote tourism, industrial cooperation and a broad array of exchanges spanning the education, culture and technology fields with the nations of ASEAN and South Asia. It is a creative “people-focused” strategy aimed at knitting Taiwan into the economic and social fabric of these dynamic regions in the absence of official diplomatic ties. It also appears designed to mitigate Taiwan’s economic marginalization in a rapidly integrating region, which is by and large the result of Chinese opposition to Taiwan’s signing of bilateral and regional trade agreements. As indicated in its name, the New Southbound Policy is a novel approach to redirect Taiwan’s trade-dependent economy to other parts of Asia from the Chinese market. Beginning in 1994, then Taiwan president Lee Teng-huichampioned a “Go South” policy that urged Taiwan businesspeople to invest in Southeast Asia. The 1997 Asian Financial Crisis and its fallout, however, spooked Taiwan investors away from ASEAN towards China, the latter having begun sweeping market reforms under the stewardship of Premier Zhu Rongji (1998-2003). China rushes to invest in Iran, a Middle East pivot, as the US stubbornly sticks to sanctions. Since the signing of the controversial Iranian nuclear deal that lifted most international sanctions, China has emerged as a principal beneficiary. This is as much a result of aggressive Chinese push as it is difficulties faced by the West. China has pursued opportunities in the Iranian nuclear energy market, increased investment and expanded influence, with what could be rightly called a Middle Eastern pivot. The country predicted to become the world’s largest energy consumer by 2030, is wasting no time in availing itself of Iran’s energy resources. China’s demand for oil imports is expected to grow from 6 million barrels per day to 13 million by 2035, and Iran, ranked fourth in the world with proven oil reserves and second with reserves of natural gas, is considered a reliable supplier. The West struggles to improve relations with Iran, a major market with 77 million people, as many hesitate to risk violating sanctions remaining in place. Despite the deal’s conclusion and sanctions being lifted, European countries find it hard to cooperate: European banks are reluctant to finance deals struck with Iran. Moreover, Europeans face difficulty in traveling to the United States if they have traveled to Iran under US visa regulations. The United States also limits business activity in Iran and the nation’s ability to use dollars. Such hindrances, of course, give China an opening. Throughout the Iranian nuclear impasse and years of sanctions since 1979, China continued trade with Iran, as acknowledged by President Hassan Rouhani, “China has always stood by the side of the Iranian nation during hard days.” Cooperation on peaceful nuclear energy is a centerpiece in plans announced in January by Chinese President Xi Jinping and Rouhani for building economic ties worth up to $600 billion. With its refineries mostly destroyed and its tanker fleet under constant attack, the Islamic State is increasingly turning to low-tech alternatives for processing oil, a vital source of revenue for the terrorist group, new satellite images reveal. Aerial photos taken near the northern Iraqi city of Mosul show scores of tiny, makeshift refineries popping up in oil fields controlled by the Islamic State, evidence that the jihadists are finding workarounds after losing much of their oil infrastructure to airstrikes. The micro-refineries — sometimes called “teapots” — consist of little more than a ditch or pit for storing crude and a portable metal furnace used to distill raw petroleum into fuel. Thousands of such systems have long been in operation in the Islamic State’s Syrian strongholds, but now they’re sprouting up around the more established, though heavily damaged, Iraqi oil fields, said Omar Lamrani, a senior analyst for Stratfor, a private, Texas-based intelligence company. “In a single oil field there can be hundreds of these makeshift operations,” said Lamrani, citing aerial imagery showing a constellation of tiny furnaces around a Mosul field that was mostly just sand a year ago. “It’s not the ideal way to do it, so their revenue is going down. But it still works.” The images were provided to The Washington Post by Stratfor and AllSource Analysis, a Colorado firm that specializes in geospatial research. Allegations that the invasion of Iraq increased the terrorist threat to the UK and helped spawn the terror group Islamic State are supported by intelligence documents released as part of the Chilcot report. Top-secret reports from the joint intelligence committee, some of which were released for the first time, make clear security services’ concern about the increasing power inIraq of jihadi groups, some of which were linked directly to al-Qaida. The JIC documents challenge a claim made by Tony Blair that Isis was largely born in Syria rather than Iraq. The reports show that by 2006 the British security services had become worried that Sunni jihadi groups had started to dominate the insurgency against the Shia-led Iraqi government of Nouri al-Maliki. All Americans share links with our allies in the United Kingdom; some peripheral, some core. My family’s links are at the heart of our heritage and culture. The Seays are Normans, Angles, Saxons, Celts, Picts, and Scots. Every tribe that settled Great Britain is represented to some degree. On my mother’s side, there are Black Scots, Scotch-Irish, and English. The Black Scots emigrated to Ulster, Virginia, Kentucky, and eventually Texas. On my father’s side, the roots are predominantly English and Scottish. One ancestor was Secretary of State for Scotland, another lived in the same castle where Gwyneth Paltrow earned her best actress Oscar for Shakespeare in Love. The family roots are diverse, but centered on the British Isles and its various tribes and peoples. I like to joke with my Australian friends that we Texans, Aussies, Kiwis, Canadians, and South Africans are the mongrels of the old British Empire. Of course, America is a much more diverse place today, being home to many peoples from beyond British and continental European ancestry, but many things bind us to the United Kingdom other than blood – namely a century of partnership in defending freedom and upholding the pillars of the international system. My first contact with the United Kingdom was when I was a year old, and my parents moved us to London. My father worked as a young solicitor for a London-based firm, Trowers and Hamlins, through a fellowship he won. I’d like to say my memories of those times are pleasant, but I was too small. Until a decade ago, my U.K. experiences were of the light, tourist on holiday sort — predominantly non-substantive. Can Russia and Iran Still Be Friends after the Nuclear Deal? Russian observers have long understood that Iranian-American hostility has been a factor motivating Tehran to seek close ties to Moscow, despite lingering Iranian resentment regarding czarist and Soviet interventions in Iranian affairs and ongoing differences over numerous policy issues (including the delimitation of the Caspian, oil production levels and Russia’s cooperation with Iranian adversaries in the region). Even areas of Russian-Iranian cooperation—such as Russia’s completion of Iran’s Bushehr nuclear reactor and weapons sales to Iran—have proved contentious due to delays, disputes over contract terms and even cancellation of agreements (such as when President Dmitri Medvedev announced that Moscow would not deliver S-300 air defense missile systems to Iran in 2010 even though Tehran had already paid for them). Many Russian observers, then, have expressed concern that if Iranian-American relations ever improved, this would lead to an overall Iranian turn toward the West and away from Russia. As progress was made toward the achievement of the Iranian nuclear accord (which was a high priority for the Obama administration in particular), some Russians believed the time they feared had come, when Iranian-American rapprochement would soon result in less Russian influence in Iran. Some had called for Russia to somehow derail the talks, but others pointed out that so long as Washington and Tehran wanted to achieve a nuclear accord, any effort by Moscow to stop it would only lead to an agreement being reached without Russian participation, and that would make Moscow appear weak and unimportant. By now, though, it is clear that the coming into force of the Iranian nuclear accord has not resulted in an overall Iranian-American rapprochement. Nor is it likely to any time soon. This being the case, there has not been the attenuation of Russian-Iranian relations that many in Moscow feared the Iranian nuclear accord would lead to. Indeed, Russian-Iranian cooperation has increased recently. Vladimir Putin loves the topic of patriotism. In February 2016 he describedRussian patriotism as “the only possible” national idea and encouraged its promotion on all levels. In 2015 Putin argued that patriotism is “the sacred duty of Russians” and “a moral guideline” for teenagers. Even in his first inaugural address, in 1999, Putin discussed patriotism and the related issues of national pride and dignity. So what do Russia’s patriotism and state security have in common, and why do they increasingly go together? Turkey’s readiness to restore relations with Moscow, Britain’s exit from the European Union, circulation of some rumors on the Green Continent about the need to revise relations with the Kremlin, increased willingness among Middle Eastern countries to develop relations with Russia, and forthcoming changes in the White House are all new opportunities, which provide Moscow with more options and more expanded maneuvering space in its foreign policy. Adoption of a pragmatic approach, on the other hand, makes it possible for the Kremlin from both theoretical and practical standpoints to make the most of these opportunities. Russia’s pragmatism is based on such principles as involvement in a positive game with all sides, the necessity of usefulness of action, the effectiveness of reaction, avoiding useless belligerence, strategic opportunism, as well as multitier and resilient identity. Within framework of this approach and to make it operational, effort is being made to create adequate maneuvering room for making tactical changes and taking the most advantage of the smallest opportunities. Russia’s military operations in Syria, from their sudden beginning to their sudden downturn, were an example of the application of Moscow’s pragmatic approach, which up to the present time, has produced “relatively” successful results. By starting those operations, Moscow met part of its interests, including by reminding the West and its regional allies of the importance of the geopolitical element and spheres of influence; protecting its geopolitical interests in Syria in medium terms, and strengthening the Russian coalition in the Middle East through interaction with Iran in Syria. On the other hand, by suddenly reducing its forces and military strikes in Syria, Moscow paved the way for meeting another part of its interests in relations with the West and its regional allies. With this consideration in mind, finding a more expanded space for “effective” maneuvering by Russia to interact with and affect various sides in the Middle East can be regarded as one of the most important achievements and in better words “successes” of the Kremlin’s pragmatic game in the face of the Syria challenge. This is why while taking to task the policy adopted by the administration of US President Barack Obama in the Middle East, some American diplomats have referred to Russia’s “active” game with various actors in the region from Syria to Iran, Turkey, Arab countries, Israel and the West itself, describing this situation as a sign of Washington’s retreat in this field. Former British Prime Minister Tony Blair’s justification, planning and handling of the Iraq War involved a catalog of failures, a seven-year inquiry concluded on Wednesday in a scathing verdict on Britain’s role in the conflict. Eight months before the 2003 invasion, Blair told U.S. President George W. Bush “I will be with you, whatever”, eventually sending 45,000 British troops into battle when peace options had not been exhausted, the long-awaited British public inquiry said. More than 13 years since the invasion, Iraq remains in chaos, with large areas under the control of Islamic State militants who have claimed responsibility for attacks on Western cities. Many Britons want Blair to face criminal action over his decision to take military action that led to the deaths of 179 British soldiers and more than 150,000 Iraqi civilians over the following six years. The inquiry, which was given unprecedented access to confidential government documents and took longer to complete than British military involvement in the conflict itself, said Blair had relied on flawed intelligence and determined the way the war was legally authorized was unsatisfactory. Boris out. Gove up; Gove down. May saves the day; no, she’s too authoritarian. Leadsom comes from behind; no, she’s too inexperienced. If you don’t know what I’m talking about, then you weren’t following the minute-by-minute twists of British politics over the past few days. Having lost its leader and the country’s prime minister — David Cameron resigned on June 24, after losing the referendum to keep Britain in the European Union — the ruling Conservative Party must choose a new one. As I watched this baroque process unfold in London, I realized that I just couldn’t write about the backstabbing, the personal betrayals, the resentments and jealousies, some of which date back 30 years to student political debates at the Oxford Union. It has become clear that something far more important is happening: By voting itself out of the E.U., the United Kingdom has suddenly, unexpectedly become European. Overnight, the old British political divide, between a soft left, business-friendly Labour Party and a center-right, economically liberal Conservative Party, has disappeared. The old arguments, over taxes and spending (Labour wanted higher, Tories wanted lower) and the size of the state (Tories wanted smaller, Labour wanted bigger), are out the window. The old ideologies are gone. Even the old people are gone. Instead, the British are split along the same lines as everyone else. Early last year, I wrote that the most important political division in Europe is not between the old left and the old right, but between what I would call established, integrationist politics on the one hand and isolationist or protectionist nationalist politics on the other. This is true in Greece, in Poland, in France, in the Netherlands. Gen. Khalifa Hiftar speaks during a news conference in Abyar, east of Benghazi, May 31, 2014. When Gen. Khalifa Hifter arrived in Moscow on an unannounced visit in late June, experts interpreted it as yet another attempt to secure an arms-transfer deal with the Kremlin. However, the Russian ambassador to Libya was quick to dismiss the speculation. “Unless the Security Council lifts or at least eases the embargo, there can be no talk of Russian weapons deliveries to Libya,” Ambassador Ivan Molotov told Russian journalists. Summary⎙ Print Despite some speculation, Gen. Khalifa Hifter's sudden visit to Moscow says less about impending arms deals than about Russia's long-term strategy in Libya and the region. Hifter's reception in Russia was unusually high profile for such a controversial and divisive figure. He was received by the foreign affairs and defense ministers, but most importantly by Nikolai Patrushev, the secretary of the Security Council, a key decision-making body close to the president. In other words, the message that Hifter received in Moscow likely came from Vladimir Putin himself. Interpreting Russian interests in Libya purely in terms of the profit it could make from arms trade there would be simplistic. The diplomatic efforts that Moscow has been making on the Libyan front lately are far-reaching for a power that simply wants to sell its weapons. It may in fact be the case that the Kremlin is playing a long game in Libya, seeking a place in its post-conflict political reconstruction. Unlike in Syria, where Russia has had a solid alliance with the Assad family for decades, after Moammar Gadhafi, Moscow did not succeed in finding a loyal political ally in Libya. Many in Moscow believe that Hifter's vast network of supporters and military power could make him Putin’s point man in Libya.